Placing an order using any Amazon.com link or search engine on this site as a starting point benefits the webmaster at no extra cost to you! The Admiral Twin Drive-In Theatre in Tulsa was a setting for Francis Ford Coppola's 1983 movie, "The Outsiders". Some of the movie's action took place in the patio seating in front of the concession stand. See screen captures of Tulsa locations from "The Outsiders"! The location of the movie's opening shot was at the Bowen Lounge on the Corner of Dreams (SE 11th & Denver). Gailard Sartain (aka late-night Tulsa TV's Mazeppa) played the minor role of a teacher (here's a photo of Coppola directing him in the burning church scene). Coppola shot "Rumble Fish" right on the heels of "The Outsiders". Stewart Copeland (drummer for The Police) recorded his score for the movie in four days here at Longbranch Studios with chief engineer Bill Belknap. The new Special Edition DVD of "Rumble Fish" includes the features "On Location in Tulsa", and "The percussion-based score". These films were based on the books The Outsiders and Rumble Fish by Tulsan S.E. Hinton. The Outsiders was set in Tulsa's late 50s/early 60s milieu of "greasers" and "socs". She attended Rogers High School in that time period, as did Gailard Sartain, Leon Russell, and David Gates. Tex (1982) was the first Hinton book shot in Tulsa. 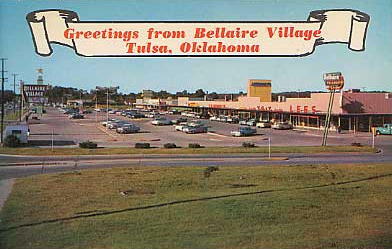 You see a lot of Tulsa in the movie (Camelot Inn, Bellaire Village, I-44, Riverside Drive, University Club Tower), and it is an excellent movie. site before. Glad you included me." 9/20/2005: A new, deluxe DVD release of "The Outsiders" has been released. According to S.E. Hinton (via an email forwarded in July by Jenn at the The Outsiders Book and Movie site), the special features on it are fantastic. Featurettes especially relevant to this site: "On Location with S.E. Hinton" and "The Outsiders on Location". How High Can A Guy Stoop?, is a candid, behind-the-scenes book by former Tulsa TV reporter/anchor Mike Miller. 3/9/2006: Here is a TTM illustrated page about Mike's book with excerpts. 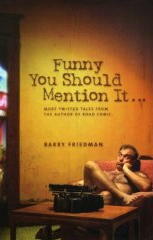 Barry Friedman's first book was Road Comic: Heartbreak, Triumph and Obsession on the Comedy Circuit. It's an unblinking look at how a man shouldn't spend his 30s and 40s. Funny You Should Mention It: More Twisted Tails from the Author of Road Comic finds him equally honest, but more reflective about life, love, humor and gun shows. He had a part in Weird Al's immortal "UHF" (shot in Tulsa). 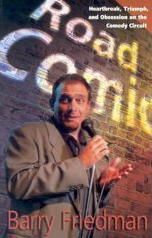 He co-hosted the Tulsa premiere of "The Aristocrats" (reviewed on this site), a movie devoted to multiple interpretations of the dirtiest joke ever told. Barry currently guest-hosts KWGS' program, "Studio Tulsa" when not plying his trade in person. He has been published in Esquire and other fine publications. More at Barry's site. Here's a book about lounge and Tiki records from Tulsa World writers John Wooley (who interviewed yours truly a few years ago), Thomas Conner and Mark Brown . It's a discography and price guide, but has many sidebars, photos and album covers. Yale, Oklahoma's Chet Baker is featured. Martin Denny, Esquivel, exotica, spy jazz, TV soundtracks...all covered. Casey Morgan told us: "For those of you who miss the Billy Parker / John Wooley (visit his new web site...webmaster) western swing show formerly on KVOO, you should know that John is doing the show alone on KWGS now. It's called "Swing On This" and it airs Saturday nights from 7 to 8 on 89.5 fm." It is an excellent show. KWGS streams its broadcast on the internet, so you needn't live in Tulsa to listen. John Wooley's documentary on Western Swing, "Still Swingin'", is available from Amazon.com. Finally, Weird Al's "UHF" is available in DVD! This movie was shot in Tulsa in 1988, and much local talent was used. You can read all about it on this site's UHF pages. "The In Sound From Way Out" by composers/performers Gershon Kingsley and Jean-Jacques Perrey was the electronic music used on "Mr. Zing and Tuffy" and "Uncle Zeb's Cartoon Camp". The song, "Barnyard in Orbit", is one I particularly remember. Click to hear RealPlayer samples of the music. A compilation, "The Essential Kingsley and Perrey", contains this album, plus another Kingsley/Perrey album for the same price. 7/2007: 4-DVD set of the 1st 60 Fleischer brothers Popeye cartoons from 1933-1938 has just been released in crisp, restored b&w. 550 minutes of cartoons, plus 5 hours of bonus documentaries and extra cartoons. As seen on Uncle Zeb. Produced, directed, wrote, and played the lead in a straight to video feature, Cole Justice, in 1988. Was in all Blockbuster stores, 20 foreign countries and two schedules on Showtime and The Movie Channel. Finished a family, fiction chapter book: GRANMAX: The Saving of A Steam Train, and got it published last year. 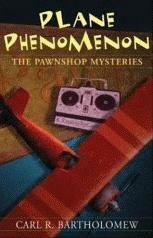 Carl Bartholomew has a written a new family chapter book: Plane Phenomenon: The Pawnshop Mysteries. Read all about it and him in this 4/29/2007 Tulsa World story, "'Plane' and Simple", by John Wooley. Carl will do a book signing Saturday noon, May 5, 2007 at Barnes & Noble, 5231 E. 41st St.
Frances Langford was a star of this movie. In 1994, she married Harold Stuart (former owner of KVOO-TV/AM). 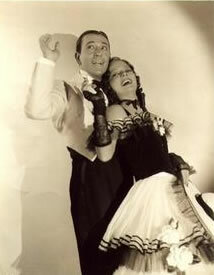 George Raft is also remembered for his signature coin-flipping gesture in the original "Scarface". Extreme trivia: this Raoul Walsh-directed movie was cited by Andrew Sarris in his influential article, "Notes on the Auteur Theory in 1962", which was subsequently lambasted by Pauline Kael in her essay, "Circles and Squares". Mike, I remember an ad like that as well... It had the Channel 8 voiceover (Cy Tuma, was it?) saying, as a hodgepodge of classic movie scenes flashed over 3/4 of the screen (with Raft's dance occupying the remaining portion), "A Raft of great movies on Channel 8, by George!" To this day, whenever I play "The 'In' Crowd" (great tune), I think of that ad. Re: the George Raft promo. Some of Carl Bartholomew's work circa 1973; the memorable spot promoted the Channel 8 Morning Movie, a collection of black and white titles. I talked with Glen last night and he did recall the spot and the tag line as voiced by Cy Tuma: "Channel 8...a Raft of Good Movies...by George." "Mississippi Burning" features one of Gailard Sartain's best dramatic performances to date. Finally available again on video: cult classic "Hollywood Knights" with Gailard Sartain! Somewhere between American Graffiti and Animal House, but it stands on its own as a comedy. GS appears in several of the "Ernest" movies as well! Gary Busey starred in "The Buddy Holly Story", for which he received an Academy Award nomination (and won Best Actor from the National Society of Film Critics). Look for Gailard Sartain as "The Big Bopper"! "Carny" is another good Gary Busey movie. His performance as the insulting "Bozo" at the carnival is somewhat reminiscent of his Teddy Jack Eddy days. Leon Russell's "Will O' The Wisp" album sports a cover painted by Gailard Sartain. Just read Bob Losure's book, "Five Seconds to Air". Lots of stories and pics from his days at KRMG and KOTV. Mike Bruchas said, "Great anecdotes! TTM contributor John Hillis is mentioned at least 8 times in the book!" Steve Zabriskie (The Big "Z") has written a book: Be A Hitter! 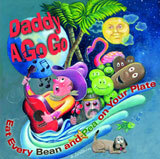 Daddy A Go Go - Former KTUL and CNN producer John Boydston now creates rock and roll music CDs for kids. But no boring "I love you, you love me" to drive parents to distraction; this is power pop influenced by the Beatles and surf music. 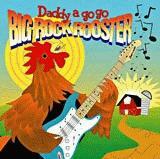 "Big Rock Rooster" is reviewed on this site by Wilhelm Murg. "Mojo A Go Go" poses a Tulsa TV question in musical form: "Where in the World is Sasha Foo?" 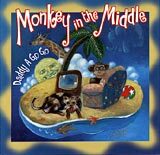 The covers of "Monkey in the Middle" , "Mojo A Go Go", and "Eat Every Bean and Pea on Your Plate" were painted by Gailard Sartain! The latter made Amazon.com's Top Ten Best Kids CDs of 2006. 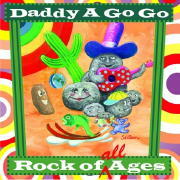 2/12/2008: "Rock of All Ages", cover by Gailard Sartain. Reader Bob Shelton remembered "Quiet Village" as the 1st Fantastic Theater theme. Martin Denny's version is a classic of the late 50s/early 60s "Exotica" genre. But I seem to remember KRMG's Johnny Martin saying that composer Les Baxter's version was the one used. Click to hear RealPlayer samples of the music. Maybe you can help me...there was a late night movie show on OKC TV around 1974 (I was attending OU at the time) that featured some tinkly cocktail music during breaks from the movie. It had a host and either a car dealer or jewelry store owner as the sponsor. Do you remember that? I remember what you're talking about, Mike. That movie special was called Trust House Theatre, and was hosted by a husband and wife team that owned, you guessed it, Trust House Jewelry. That show ran through the late 80's on various OKC stations, and they still occasionally buy time to host movies. Trust House Jewelry in OKC! I can never remember their real names - Jeff Midkiff who grew up in OKC and worked with me at 34, called the husband and his wife -- Snakeman and Voodoo Woman. They were staples of WKY-KTVY every Sunday night. Some of the movies weren't that bad. Then KGMC got them for other nights of the week and I directed their "bits" for "rolling into the movies". In the days of tube cameras - showing off flashy jewelry could burn VERY expensive camera tubes - so we were careful. Their jewelry store was fancy but seemed like folks that wanted to show off fancy jewelry shopped there (the big hair and gold chain set). Ah, Nite Owl Movie, brought to you by Trust House Jewelers, with Jim and Gloria Berkey. They used to bring the biggest, glitteriest diamond rings out to the station. "Paved in diamond property". We also did some TRUST HOUSE inserts that aired in 34's late night weekend movies. Jim and his wife were okay and though we had been told that "Snakeman and Voodoo Woman" were a pain to work with. The Trust House music is on the video that Steve Smith sent me, used as background for a Cy Tuma signoff! Featured on Boing Boing, 3/29/2008. More video in the Photo/video briefcase. Mike, the music KTUL played during that signoff was a old Henry Mancini tune called "Dreamsville". My folks were big fans of his during his heyday and I have all manner of pleasant memories connected with his music. "Dreamsville" is from the album, "Music from Peter Gunn" (with Johnny "Star Wars" Williams on cocktail piano). Click on the image to hear a RealAudio sample of the song (or to buy the CD). This is an atmospheric slice of cocktail/noir. 2/14/2001: I just got back from a great Caribbean cruise. While we were in the Normandie room on the M.S. Paradise listening to some music before dinner, the orchestra segued into "Dreamsville". I just made a discovery while listening for the first time to Henry Mancini's "Music from Mr. Lucky/Mr. Lucky Goes Latin" CD . The tune "March of The Cue Balls" is music I've strongly associated with Channel 6 in the 60s. I recall it being used to get into and out of commercials, etc. You can hear an excerpt of it on Amazon's listing for The Best of Mancini. The only published, fully documented, first-person account of America's deadliest race riot; written at the time by survivors and reporters, and transcribed from Maurice Willows' collection of original pictures, newspaper clipping, letters and documents. Mr.Willows was brought from St. Louis as the Director of Red Cross Relief, and was Bob Hower's grandfather. Just got permission from David Halpern to show you his photograph of the KVOO radio transmitter site from his book "Tulsa Art Deco". I've put it on a separate page for best viewing. It's somewhat large (246K). 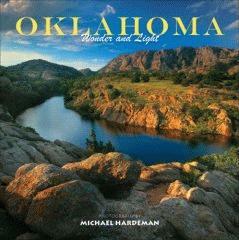 Michael Hardeman ("Michael Evans" on KRAV, KELi, and KWEN-95 in the top 40 days) has a new book out: Oklahoma Wonder and Light. From Amazon: "This photographic journey showcases some of Oklahoma's most scenic landmarkssuch as the Ouachita and Ozark Mountains, the Great Salt Plains, Turner Falls, and Red Rock Canyonas well as more intimate views of this remarkable state." Thought some of you might be interested in a newly started project taking a look at historically significant abandoned or forgotten buildings in Tulsa. February 2006: a new book, Abandoned Tulsa by Alison. Read more about it at Furnace Press. Tulsa's local children's TV programs are covered on pages 230-233 of Hi There, Boys and Girls! America's Local Children's TV Programs (2001). Contributors to this site who received a credit are: Erick Church, Bob Jernigan, Boyce Lancaster, Jr. and Sr., Joe Riddle, and myself. The author, Tim Hollis, clearly used Tulsa TV Memories as a primary source for material and contacts, but he came up with a few shows I still hadn't heard of by 2005! I wrote an article about the 1969-70 Michael Parks TV series, "Then Came Bronson", for Billy Ingram's great TVparty! web site in 1999. (Here is the article on this site; I've added a lot of extras to it since then). Billy has now written a TVparty book (with a bonus CD-ROM of video!) He was nice enough to give me a credit in it. Hal Lifson feels that 1966 was a watershed year for pop culture. Check out his densely-illustrated book and see if you don't agree.